It is a remarkable novel, but were I a literary agent or publisher, much of what makes the novel remarkable would have caused me to assume it would not sell very well and would find, at best, a niche audience. (This is perhaps reason #28,302 that it's good I'm neither a publisher nor an agent!) I don't know the sales figures for What Belongs to You, but it hit the LA Times bestseller list for a couple weeks, got tremendous review coverage, and often seemed to be among the books of the moment — I traveled a lot during 2016, and nearly everywhere I went, somebody mentioned it (perhaps because they knew it was a book I would like). Despite being on New York Times critic Dwight Garner's top 10 list, it didn't make the Times list of 100 Notable Books (nor was it one of their 10 Best Books), it did make LitHub's "Baffling Omissions from the NY Times’ 100 Notable Books List" list, which is good for street cred. It is, in the Delanyan sense, a book that has accrued an impressive set of literary markers. I would love to talk with Greenwell's agent, editors, and his publicists at FSG to learn why and how this book worked for them. It gives me a little bit of hope about the future of literature that this debut novel by a writer without a big literary footprint was able to find such a good home. A "good home" for a book is not necessarily about big sales and big awards, nice as they are; it's about finding the right audience for that book, the audience that will appreciate and value it most fully. (And hopefully not cause major losses for the writer, publisher, booksellers....) FSG and Greenwell's foreign publishers seem to have done an excellent job at that, a job that other writers, agents, and publishers could learn from. As a reader, I want to live in a world where such successes are not surprising. I first noticed What Belongs to You because of some interviews with Greenwell — he is remarkably eloquent in discussing queer literature and experience. Then I noticed that he had written the article that first sent me to Hanya Yanagihara's A Little Life, one of my favorite books of recent years (I'd glanced at his byline, but hadn't known anything about him at the time, so the name didn't stick). During a reading in the spring, I saw the bookstore I was reading at had What Belongs to You out on a table, I remembered Greenwell's name, and since I always buy at least one book from a store that is crazy enough to invite me in for a reading, I picked it up. (Life got in the way, so I was only able to start reading the novel this summer, and then that got interrupted, thus it wasn't until this week that I had time to start over and get through the whole book.) I mention all this simply because I think the ways we discover books are important to chronicle, and especially important with a book like this one, where the paths to its popularity feel surprising. Here, though, I want to talk a little bit about what matters most: the text itself. For me, What Belongs to You is remarkable not primarily for what it's about (which in its general outlines, if not its setting, is a familiar story in queer male lit), but for its sentences and structure. Most of the reviewers have noticed Greenwell's prose. It's not that his diction is flashy or particularly ornate, but that he bucks the contemporary trend, especially among U.S. writers, to go short. 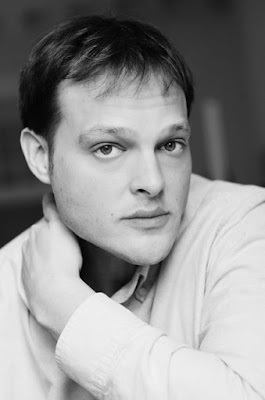 James Woods in The New Yorker said, "In an age of the sentence fetish, Greenwell thinks and writes, as Woolf or Sebald do, in larger units of comprehension." In a London Review of Books piece, Adam Mars-Jones makes an important point: not only, as other reviewers have noted, does Greenwell tend toward relatively long sentences and paragraphs, but that "there are fashions in page layout, and paragraphs have become increasingly choppy over the decades." Indeed. That my first encounter with Mitko B. ended in a betrayal, even a minor one, should have given me greater warning at the time, which should in turn have made my desire for him less, if not done away with it completely. But warning, in places like the bathrooms at the National Palace of Culture, where we met, is like some element coterminous with the air, ubiquitous and inescapable, so that it becomes part of those who inhabit it, and thus part and parcel of the desire that draws us there. Even as I descended the stairs I heard his voice, which like the rest of him was too large for those subterranean rooms, spilling out of them as if to climb back into the bright afternoon that, though it was mid October, had nothing autumnal about it; the grapes that hung ripe from vines throughout the city burst warm still in one's mouth. 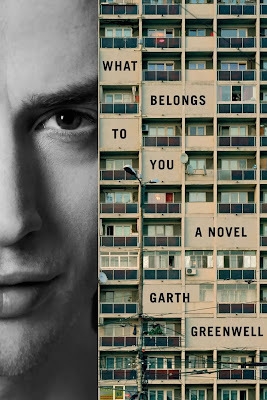 Though in the events it depicts, Greenwell's novel is not often pleasurable — it is a novel of loneliness, alienation, hopelessness, loss — it is rich with aesthetic pleasure. As we joined the line of people getting off at the last stop before Sofia, I looked once more at the little boy, whom I felt I would never forget, though maybe it wasn't exactly him I would remember, I thought, but the use I would make of him. I had my notes, I knew I would write a poem about him, and then it would be the poem I remembered, which would be both true and false at once, the image I made replacing the real image. Making poems was a way of loving things, I had always thought, of preserving them, of living moments twice; or more than that, it was a way of living more fully, of bestowing on experience a richer meaning. But that wasn't what it felt like when I looked back at the boy, wanting a last glimpse of him; it felt like a loss. Whatever I could make of him would diminish him, and I wondered whether I wasn't really turning my back on things in making them into poems, whether instead of preserving the world I was taking refuge from it. That's a key passage from the book because it comes twenty pages from the end and, taken to heart, it destabilizes much of what we've read so far. It is easy to believe this narrator. He seems like a good guy, and he demonstrates a supreme facility for language. Though the sentences can be long (for our age; not for Samuel Johnson's), and though the second section of the book is a single paragraph of about 40 pages, there is an extraordinary flow to it all — the prose propels, not via cheap pulp tricks or logorrheic JoyceCarolOatesian "breathlessness", but through clause building upon clause, sentence upon sentence, image upon image, idea upon idea. What that passage I quoted tells us, though, is: Beware! Of course, we're not idiots, we know we're reading a book that has been carefully constructed and is not, then, "reality", but even as we know this, the reality effect is as seductive as heroin, and Greenwell pushes it hard through this book not only via a friendly, eloquent first-person narrator, but also through a certain teasing of the lines between autobiography and fiction. If you knew nothing of Greenwell, you might not wonder how much of the book is based on his own experiences, but if you read the acknowledgements in the back or if you ever encountered anything written about this novel, then you probably at least know that Greenwell was himself a teacher at a school in Bulgaria, as the narrator is; and that he comes originally from the southern U.S., as the narrator does; and that he, too, has written poetry. Adam Mars-Jones goes farthest in detective work in his review, but his exercise only shows that it's not the actual facts that matter, since it changes nothing in the reader's life if Greenwell's words all correspond to an actually lived reality or if they only correspond to an imagined reality. What matters is the evocation of a curiosity about how much is literally true. Because the voice of the narrator is so alluring and so intimate, there is for many readers an almost unavoidable slippage here between the idea of the narrative voice and the idea of the writer himself. (I am now resisting making a pile of pseudo-Baktinian points. I trust you get the idea.) The impulse to wonder about how much of fiction is autobiography is probably common, perhaps even unavoidable. A vulgar, voyeuristic form of that wondering seems especially rife in the contemporary U.S., where texts labeled as memoirs sell better than texts labeled as novels, where confessional essays seem to compete against each other for pathos in an attempt to win some glance from an ever-more-distracted audience, and where "based on a true story" is the phrase everybody wants to put on everything because "based on imagination" is apparently a turn-off. Cynical writers can exploit this for purposes of marketing, but on a less vulgar level, canny and tricksy writers can exploit it for other purposes (and a bit of marketing), as I've written about previously with regard to J.M. Coetzee, and as someone ought to write about with regards to the slippery memoir-fictions of Richard Bowes, particularly Dust Devil on a Quiet Street (which would pair brilliantly with What Belongs to You). There is much more that could be said about all that is in the novel itself, but most of it has been well said by reviewers, and the sort of deep diving that will be done by academic critics later on is not something I have the time or energy for at the moment, though I expect the book would repay such work well. I'd especially like to think about it via Delany's Times Square Red, Times Square Blue, as well as via certain strands of postcolonial theory and black queer theory, not because it's a specifically postcolonial or black queer novel (it's not) but because those ways of thinking teach us much about power relationships that would help illuminate new levels, possibilities, and problems within the narration. But that all requires heavy lifting, and I'm on vacation at the moment!